Custom cedar hutch buffett combination. 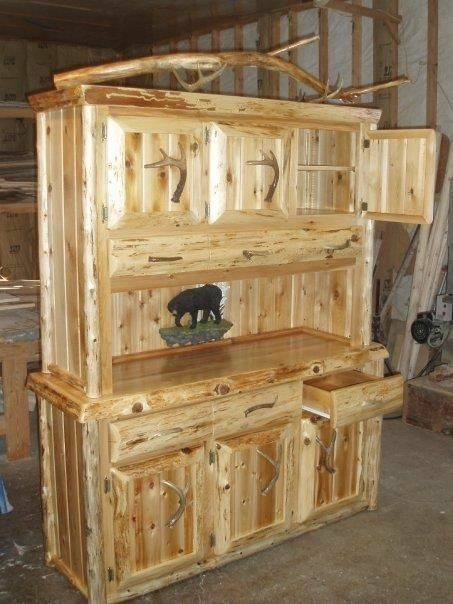 Complete with real deer antler handles. With plenty of storage both above and below. This piece is not only very functional. But is truely an eye catcher one of a kind custom piece. Finish is gloss varnish. Size: 72 in. wide 84 in. high and 24 in. deep. Contact me for special size.